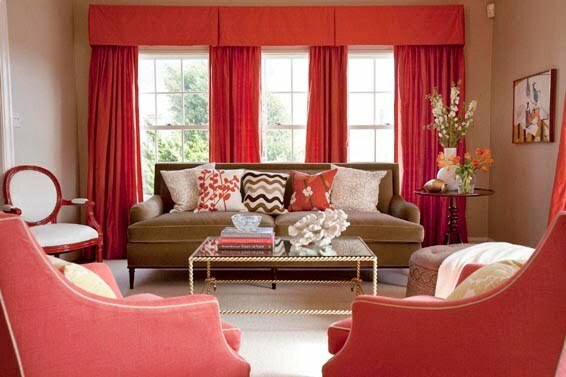 A great tip for adding a little fun to your color combo's in your home is to mix a cool color with a warm color. One current example that I'm loving is Coral & Gray. 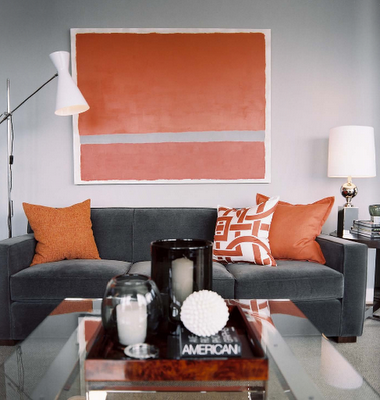 The vibrant hue that just radiates from coral(warm) is the perfect balance to a neutral calming gray(cool). 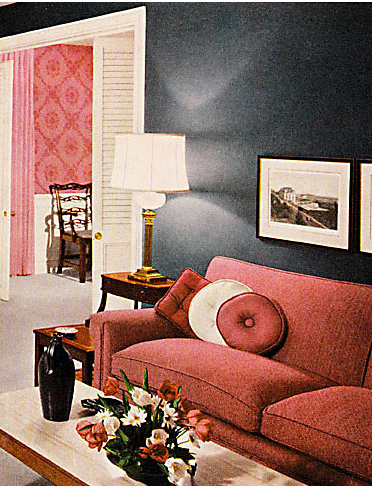 Another tip when decorating your home is to use the color combo of your choosing in different pieces of the room. 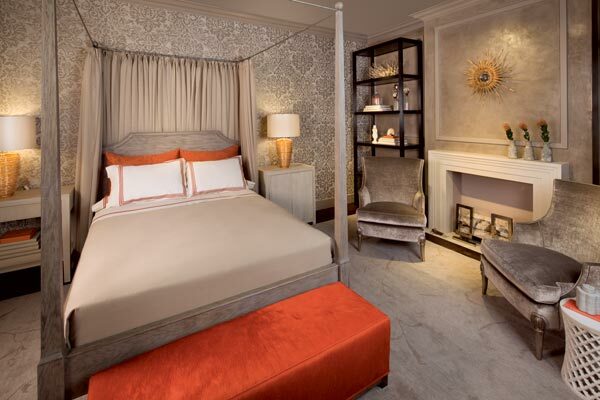 Note the coral/gray artwork with the gray sofa and then coral toss pillows. It doesn't look like the room came out of a bag, but it does look like everything goes together. The nice part of coral is that sometimes it can lead a bit more orange, which is always a plus in my book. Don't you love how it pops in the room below? 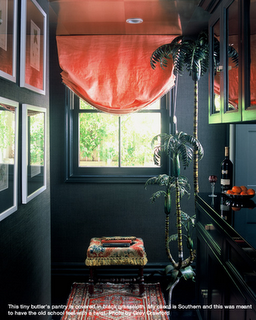 I love how it can be used with a light shade of gray and/or a dark shade of gray and the coral still looks at home. 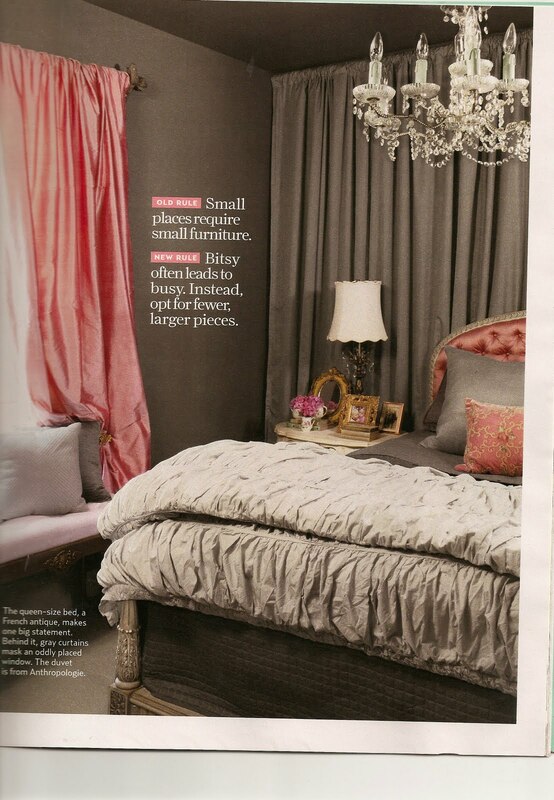 If you are scared that gray is a bit too cold for your liking then warm it up a touch and go with a taupe instead. So are you feeling this color combo as much as me? I too have a recent color obsession with orange and grey, I'm working on a purse right now, and I just finished a fabric necklace! Thanks for the inspiring pictures!! Love the last image! Beautiful. I love this color combo! I actually have a future headboard to remake when I get home in this combo. Have bought the coral fabric and going to paint the wood gray. Can't wait to see how it turns out. Love love love this color combo! It's a break from the norm and looks great! Great post! Love the inspirational pics - great selection!! This is a great colour mix. I adore grey and I've always loved coral--even chose it for my bridesmaids dresses! I love this color combo! I've been obsessed with grey for awhile, trying to talk hubby into painting our kitchen grey. Thanks for sharing the lovely photos. I am all aboout this color combo right now! My sister and I will be adding coral to her new apartment scheme. Love It! I'm totally loving those combos! Coral's never wrong. And gray is such a great neutral. Loving it! I am obsessing over this palette!!! So chic and modern. The image with the upholstered coral headboard with crystal chandelier and ESPECIALLY the last image are swoon-worthy, I might have to incorporate a bit of grey/coral in my next project. You have just made my life more difficult - in a good way! I love this combo! Can you recommend a good coral color from a paint store? Its a great color combo! I love that I'm not the only one who looks at older design photos for inspiration!! Yep, that combo works for me! Oh yes! LOVE this combo! I absolutely love this. Thanks for the cool/warm color advice — I wonder if the same goes for fashion as well?